The perfect solution for collecting feedback in busy locations. 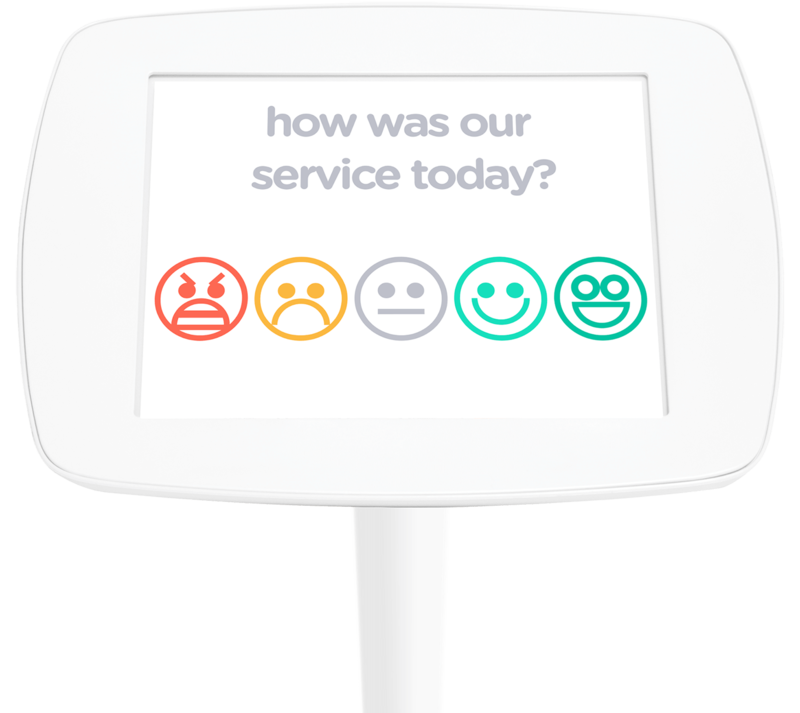 Surveyapp’s smiley feedback terminals are easy to set up, allowing your customers to answer quick, focussed and thoughtfully designed questions in airports, shopping centres, hospitals, workplaces and other high-traffic places. Surveyapp gives you the flexibility to ask different types of questions. 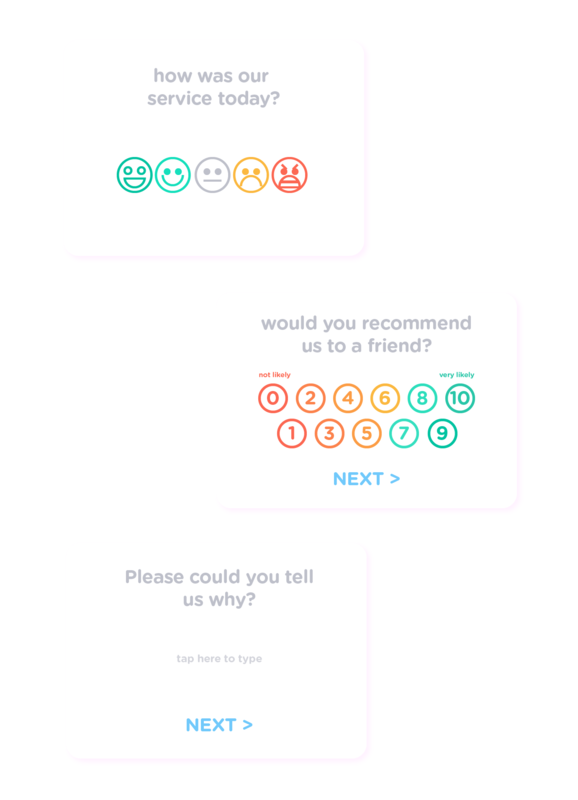 Choose from Net Promoter Score (NPS), Likert scales, free text and more, as well as the iconic smiley face option. Something not right? Unlike fixed-button survey terminals, Surveyapp lets you ask follow-up questions. Find out why someone is unhappy, but also why they feel that way – and gain the insight and confidence to make the necessary improvements. 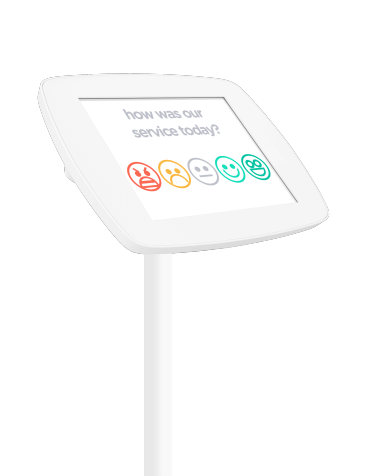 Featuring a stand, a tablet and our unique software, Surveyapp terminals include everything you need to start gathering valuable user feedback. Customisable interface to match your brand. Receive regular reports via email. 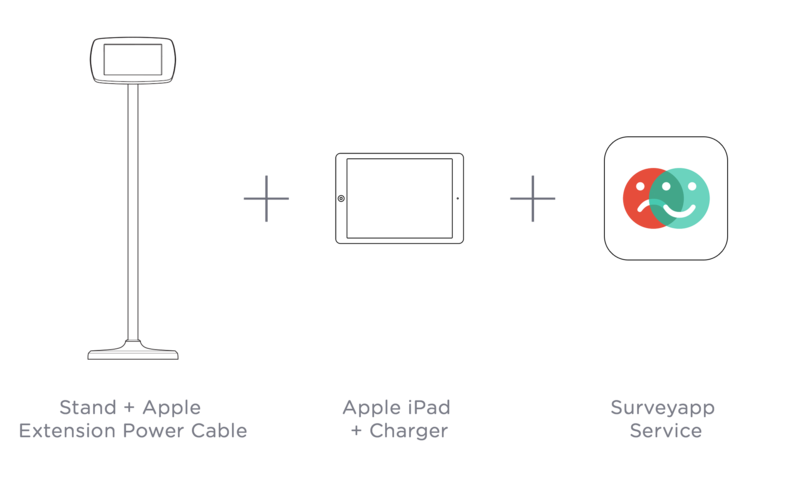 Surveyapp is used across the world by organisations including airports, ferry terminals, hospitals, shopping centres and schools. 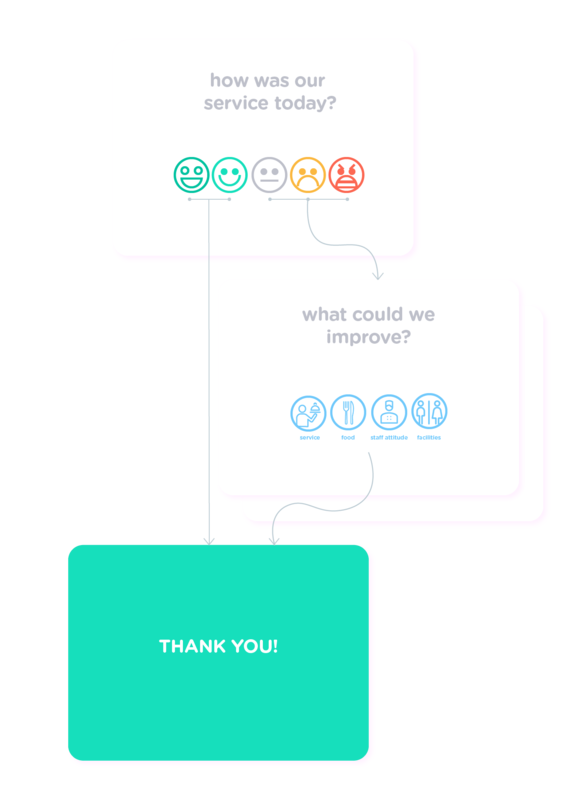 Gather insights you can quickly act upon by asking customers how they feel, and why. Win customers’ loyalty and trust by showing that you value their opinions. Old-fashioned annual employee surveys belong in the Dark Ages. What’s the point in asking your team to feed back when it’s too late to do anything about it? 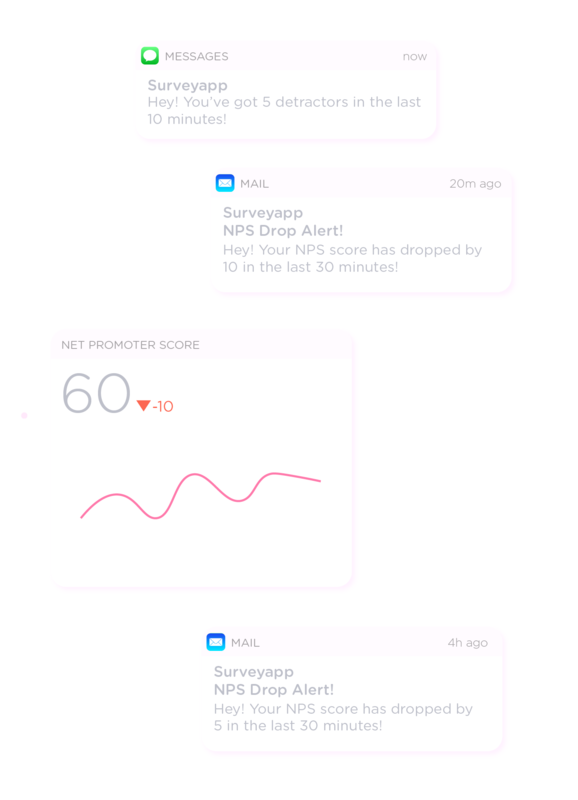 With Surveyapp, you can keep on top of how your staff are feeling, all year round. Nip problems in the bud before they escalate, and you’ll find that you have happier staff, better productivity, and a more successful and profitable business.